The first—and the last—response to twentieth-century hymnody should be praise. In between I shall suggest some problems, but they are general problems of belief, and worship, and, although they have serious consequences for twentieth-century hymnody, they should not be allowed to obscure some very real causes for celebration. I do so first through the consideration of two dates: 1900 and 1950. In 1900, what would a Hymn Society Act of Praise have been like? It would have been concerned with a new and rather beautiful, but distinctly upmarket, recent book from Yattendon; it might have had some inkling of the progress of a committee working on a new edition of Hymns Ancient and Modern; and it might have acknowledged the growing popularity of new hymns from America, some published in Britain by W. Garrett Horder in The Treasury of American Sacred Song in 1896. Apart from that its resources would have been Hymns Ancient and Modern, Church Hymns, and the various denominational books. The Hymn Society in 1900 could not have sung ‘Ye watchers and ye holy ones’ to LASST UNS ERFREUEN, or ‘Who would true valour see’ to MONK’S GATE. It could not have sung ‘And did those feet in ancient time’ to JERUSALEM, nor ‘I vow to thee, my country’ to THAXTED. At Advent it could not have sung ‘Hills of the north, rejoice’ to LITTLE CORNARD, and at Christmas it could not have sung ‘In the bleak mid-winter’ to CRANHAM or ‘On Christmas night all Christians sing’ to SUSSEX CAROL. At Easter there would have been no ‘Lift high the cross’ to CRUCIFER If it had been minded to celebrate nature, it could not have sung ‘Morning has broken’ to BUNNESSAN or ‘Daisies are our silver’ to GLENFINLAS Hymns of social concern might have been represented by the work of Doddridge and Charles Wesley, but not by ‘Judge eternal, throned in splendour’, or by ‘Where cross the crowded ways of life’. The conference could not have sung SLANE to ‘Be thou my vision’, or to ‘Lord of all hopefulness’, or to ‘Lord of creation, to you be all praise’. Nor could it have sung such favourites as ‘Dear Lord and Father of mankind’ to REPTON, or ‘Great is thy faithfulness’ to the tune of that name. Many of these are so well known, and so much a part of the normal practice of church worship, that we may forget that they are relatively modern: that they date from the period of The English Hymnal and Songs of Praise, the two great innovating books of the first half of the century. They are part of the achievement, of the century that is passing away. Now let us move forward to 1950. In that year the Hymn Society met at Jesus College, Cambridge, where the cost of the conference was £3-6s-0d, and the invitation said that ‘Hospitality outside but near the College will be found for ladies attending the Conference.’ Two years later, also in Cambridge, at Wesley House, the annual conference was cancelled, because only eleven people wanted to come (in spite of the small expense, which was three guineas). 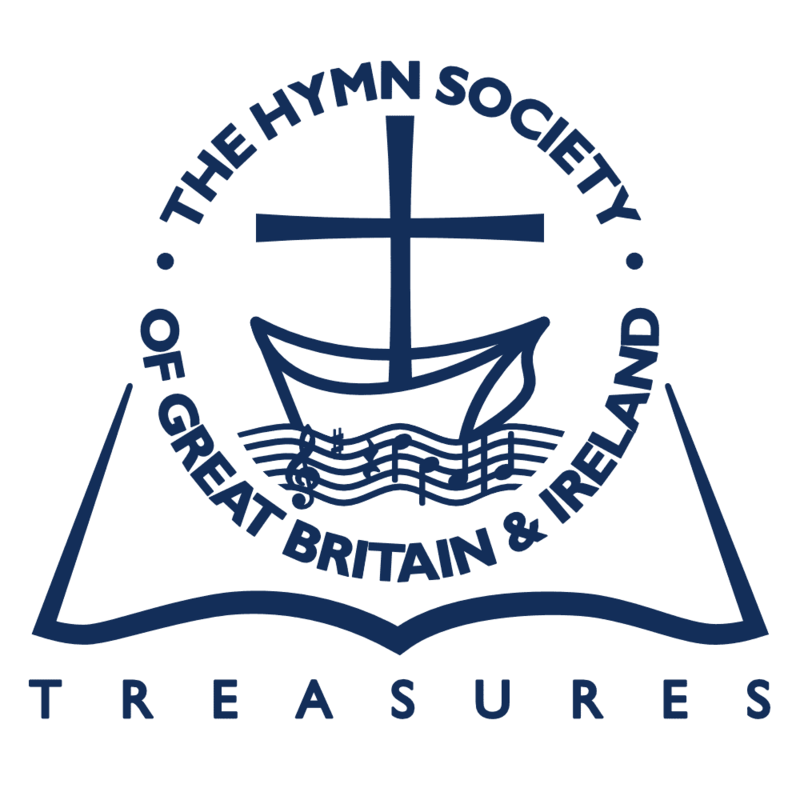 And at least one reason for our celebration is that the Hymn Society was kept going through those difficult years by those who should be recorded on a Roll of Honour: Erik Routley, Cyril Taylor, Maurice Frost, Emily Chisholm, Norman Goldhawk, Wilfrid Little, Rosamond Herklots, Albert Bayly, Leslie Bunn, Margaret Dickie, John Wilson; and many others, some of whom are still active and present. Across the world, across the street. and there would have been no ‘Lord, thy church on earth is seeking’, and no ‘Lord Christ, we praise your sacrifice’. If there are some good words here, let us think also of the tunes which could not have been sung in 1900. I arrange a few of them in alphabetical order: ABBOT’S LEIGH, ALBERTA, BLAENWERN. BRIDEGROOM, BUNESSAN, CROSS DEEP, CRUCIFER, DOWN AMPNEY, EAST ACKLAM, ENGLAND’S LANE, FOREST GREEN, FROM STRENGTH TO STRENGTH, GATESCARTH, GLENFINLAS GONFALON ROYAL, GUITING POWER, HARESFIELD, KINGSFOLD, JERUSALEM LAUDS, LITTLE CORNARD, MONK’S GATE, REPTON, RIPPONDEN, RUSTINGTON, SHIPSTON, SINE NOMINE, ST BOTOLPH, YANWORTH. These are a few of the tunes which I would not willingly be without, and there must be many more that I ought to have mentioned. It is a wonderfully impressive collection: indeed at one time I thought that one way to conduct this lecture would be to sing our way through the century, decade by decade, which would have sent us all home in a mood of euphoria. Donald Webster’s very useful A Hymn-Book Survey 1980–93 gives some indication of the importance of the new material. He notes, for example, that 164 of the 823 hymns in Hymns and Psalms (1983) were the work of writers born after 1900; and Hymns and Psalms, if re-compiled today (as I write this, it is almost twenty years since its committee first met in November 1979), would surely have wanted to include such hymns as ‘Morning glory, starlit sky’ or ‘Put peace into each other’s hands’ or ‘Affirm anew the three-fold name’. What these new hymns and tunes do is add to our store of hymnody, to the resources of worship, but, more than that, they add to our repertoires of feeling. They give us words to express thoughts which we may have had but could not express; they provide new words for old truths, and in so doing they enliven faith. freshen it. Brian Wren has spoken of ‘giving faith a re-spray’, and, although this has an unfortunate suggestion that the bodywork is rusting underneath, it conveys something of the way in which new words and new tunes are bright, new-minted. When we sing them, we feel different because they say things in a new way. In the process, these hymns do two things. First, they push out older hymns: the process of what I have called elsewhere ‘hymnological Darwinism’ is relentless and inescapable. If a hymn is not sung for a few months, or a few years, it gradually becomes unfamiliar: and thus its chances of being selected for the next hymn-book diminish. This is a painful process: a hymn is sung less frequently, and because of that it is sung even less frequently, until it disappears into the cage of the past, shut up inside the dusty hymn-books of yesteryear. But new hymns do something else. To the best older hymns, they add something, so that those hymns can gather new meaning from what is written after them. New hymns relate to old hymns (just in being new) and in the process we can see the old hymns again. Almost as if we see them listening (as if in a discussion group) to the new voice. As Fred Pratt Green echoes Charles Wesley and Isaac Watts, so they listen to him. Similarly, we sing ‘Love divine, all loves excelling’ better because of ‘Love came down at Christmas’ and ‘Timeless love! We sing the story’. They become a part of our way of feeling about the great truths of religion, supplementing one another, supporting one another. The best expression of this is in T.S. Eliot’s celebrated essay ‘Tradition and the Individual Talent’, in which he says that ‘No poet, no artist of any art, has his complete meaning alone’. Later in the essay he says: ‘we do not quite say that the new is more valuable because it fits in; but its fitting in is a test of its value—a test, it is true, which can only be slowly and cautiously applied, for we are none of us infallible judges of conformity.’ I think that this is what happens with the hymns I have listed: I am no infallible judge, but it seems to me that a hymn such as ‘I come with joy to meet my Lord’ fits in to the general sense of hymnody for Holy Communion, and in that way it supports (say) ‘Author of life divine’, or ‘Be known to us in breaking bread’, or ‘Bread of the world, in mercy broken’. Perhaps one of the reasons why I find worship songs unattractive is that they tend not to participate in what I think of as this dialogue. [I was asked about songs in the discussion after the lecture, and this is part of my response.] Many of them seem to be good of their kind, quite attractive, easily accessible, rhythmical, with pleasant enough music: but they do not relate, in my own mind, to anything else. To put it more strongly, I would say that hymns take part in a discussion with one another, talk to one another, share ideas, borrow phrases from one another; it is (as I have said elsewhere) a little like eavesdropping on a seminar, in which everyone contributes to the discussion. Worship songs seem to me to be monologic: to want to talk all the time, to take no notice of anyone else, to take over the discussion. It becomes a question of hymnological good manners: the hymns I have mentioned are valuable to me because they have an innate courtesy to other hymns, a sense of sharing in the great work of proclaiming the gospel of Christ. There is no doubt, however, that worship songs appeal to people: I think that one reason why they do is precisely that they are not hymns, which are viewed as part of the luggage of older religious travellers. I think that this is a perfectly justifiable view; but it is not one that I share, and I would not like it to be accompanied by a neglect of serious hymnody, which I value almost more than I can say. For me it gives to worship a poetic dimension which (in Coleridge’s words) ‘calls the whole soul of man into activity’, giving worship inspiration and joy through the harmony of words and music. So today I am deliberately celebrating the part played by hymns in the twentieth century, and I would like us to be less defensive, to recognize the magnificent contribution that hymns have made to worship and to literature since 1900, especially in serious and thoughtful responding to the problems of worship in an inimical age. It is this relationship between hymns and the present age that leads me into the second part of the lecture. As I said at starting, I wish to begin and end with praise, but in between we have to ask some questions, and I turn to matters that are more disquieting. My text here would be from Psalm 137: ‘How shall we sing the Lord’s song in a strange land?’ The strange land is a world becoming increasingly materialistic and secular, a world in which we find ourselves and our hymnody, however profound and serious, somehow on the margins of what is going on: it is a world in which, at the end of a Decade of Evangelism, we have to acknowledge that a vast number of people seem to get through life quite well without us; a world in which Sunday, as a day of rest and a time of worship, is being replaced by another kind of Sunday; a world in which we are conscious of the real value and power of other faiths besides our own. All of these things have created, during the last part of the twentieth century, a world that is a strange land, in which we write hymns and sing them in a difficult time. And found and lost again and again: and now, under conditions that seem unpropitious. But perhaps neither gain nor loss. For us, there is only the trying. The rest is not our business. The rest, of course, is God’s business, in life as well as in the writing of poetry; but we need to think of this kind of perpetual finding and losing, losing and finding, as we go forward into 2000 and beyond. I want, with the greatest diffidence, to suggest some ways of understanding what we are trying to do. I do not think that this will do as a response to modern theological insights: although hymns should not (as I think Hughes implies, and to this extent he is right) be vague. This was the problem with that great book, Songs of Praise; Percy Dearmer wrote of the verse ‘At his voice creation / Sprang at once to sight’ from ‘At the name of Jesus’ that ‘we have omitted ver.2 as a little recalcitrant in theology’. Dearmer’s forward-looking social gospel theology was often a bit vague about theology: there has to be a way in which we can incorporate modern theology (and philosophy and science) into hymn-writing: the most persistent exponent of this art was Albert Bayly. The second way is the need to have regard to the contemporary world, not only in its philosophies, but in its daily modes of living. This usually means engaging with contemporary conditions in a way which will shorten the ‘shelf life’ of a hymn: it is interesting to note that the composers who gathered round Geoffrey Beaumont to form the Twentieth-Century Church Light Music Group were prepared to accept this, and saw their work as likely to be short-lived from the very beginning (Patrick Appleford’s ‘Living Lord’ has lasted longer than any of them might have expected). The most obvious example of a hymn which engaged with the world of its own time was Richard Jones’s ‘God of concrete, God of steel’: now we would be less inclined to write about concrete, and more about computers (I have seen a very good hymn on this by Andrew Pratt). The distance between the two illustrates the difficulty of writing hymns that will integrate worship with the properties and actions of our daily living in this television, motor-car. shopping-centre age. It is a problem that Fred Kaan, singing Magnificat ‘in crowded street and council flat’, has struggled with for decades. tell of what they love must be. We are seeking language to describe these things and respond to them. In the process, I think that we have found ourselves (through no fault of our own, perhaps) impoverished by the language used for worship and spirituality. As pillars, and go out no more. Can’t have this, said the committee: people have to be told to go out, go forth; but it’s a metaphor, I said: means someone who has come to know the power of God, and who is secure in it. Won’t do, they said: take it out (and they did). The terrible thing is that they were probably right: people will read literally, because they have lost the ability to read imaginatively, to make the transference from the image to its meaning. The same thing has happened with that whole complex world of typology. St Paul gave a wonderful example of it in 1 Corinthians 10:4: ‘for they drank of that spiritual Rock that followed them: and that Rock was Christ’. We are in danger of losing the Old Testament, not just as a narrative, but as an imaginative resource: Rejoice and Sing still has ‘Here I place mine Ebenezer’, but Hymns and Psalms gave Ebenezer up twenty years ago. we have to make that imaginative leap which is the true working of the active mind. The whole world of Celtic Christianity, with its nature imagery, its legends, and its incarnational theology, has been wonderfully caught in the Wild Goose Songs of the Iona Community; and it is precisely because much of our worship has become used to unimaginative language that we feel the beauty of these things even more powerfully. To live in the North-East of England, as I do, is to be aware all the time of the missionaries from Iona, and of the holiness that they founded on the Northumbrian coast, of the beauty of the sea, and the gulls flying, and the glory of God in the sky. It is wonderful that these things have come into our worship at the end of this century. But language is part of a deeper problem, and that is psychology (understood in its broadest sense). If the nineteenth century was the century of Darwin, then the twentieth was the century of Freud: not many of us will have read the Collected Works, or know much about his theories, but we are aware, even vaguely, of his influence in our daily lives. We understand ourselves better than we did, we try to accept ourselves better, we try to treat our children better than our parents treated us, and their parents treated them. Above all, perhaps, we have attempted to abandon the use of fear. When we read Isaac Watts’s Divine and Moral Songs for Children, we cannot avoid the impression that they dealt in fear, and that they encouraged separation from other children, priggishness, and self-righteousness. For generations people were brought up on these things (I was one). But people—I think rightly—will no longer stand for it. The damage done by a religion that emphasizes fear rather than love is, I suspect, one reason why many people who were brought up on it have left the Church and have encouraged their children to do so. doctrine: the reaffirming of traditional religious teaching, of the love of God in Christ Jesus, of the sacraments, of prayer and praise, if necessary against the world of materialism and cynicism: hymnae contra mundum. service: the recognition that the Church is here to serve and not to dominate, that, in Fred Pratt Green’s words, ‘our only mission is to serve’. sacrifice: the understanding that, in the words of Alan Gaunt’s hymn, ‘Lord Christ, we praise your sacrifice’, and we acknowledge the sacrifice of our Lord Jesus Christ, and his victory (through sacrifice); and that we understand that for many people in the century just passed (and the one to come) the road has been, and will be, one of sacrifice and even martyrdom, and wasteful loss of life. Two world wars are a testimony to that. imagination: the realization that human beings respond to truths when they are put to them imaginatively, and not in language that is inert or lifeless. These truths should be taken in all seriousness, and given with dedication and good intent. And hymns, like poems, should begin and end in what W.H. Auden called ‘imaginative awe’. ‘Every poem’, he said, ‘is rooted in imaginative awe’. Faith grows when it is well expressed in celebration. Good celebrations foster and nourish faith. Poor celebrations weaken and destroy it. If this prayer can be realized, if the twenty-first century can link religion and poetry, religion and music, as successfully as the twentieth (at its best) has done, we may go forward into the next hundred years with praise, and thanksgiving, and hope.